Item Number: 66-11-29 17257 Actual Weight: 1.5 lbs. For use in material handling or industrial applications. Provide excellent cut and abrasion resistance. 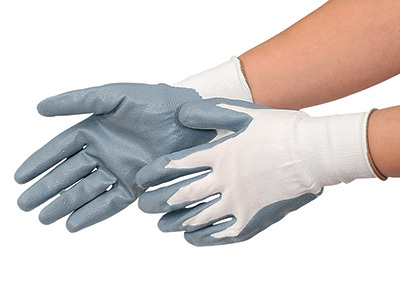 White nylon stretch gloves are dipped in nitrile foam for strong grip and can be used in light oil applications.